As a startup founder, marketer or sales professional, one of the most important things you need to do is define your target market. After all, it is what lays the foundation for your marketing strategy – influencing everything from how you name your product, over how you develop it, down to which market segment you end up focusing on. Simply put, the better you understand your target market, the closer you are to being able to market your product to the right audience at the right time. And in this lesson, we’ll show you how to do just that. Similar to how you’d audit your resources, dig out all the data you have on your existing customers. Look into where you reached out to them or how they discovered you, and why they chose to buy from you. List the common characteristics, interests and conversion cycles of these customers and identify those that bring you the most business. This will help you get started on identifying people who are more likely to benefit from your product, and vice versa. If you’re just starting out, we recommend compiling all the data you brought together to create your product research document. Write down why you started to build the product, where the idea came from, what challenges it solves and what kind of people are more likely to benefit from what you offer. A good way to get data on the above is to look into your CRM, accounting program or database to get a gist of the ongoing conversations with existing customers and prospects. To further add a layer of data on the same subject, research more on LinkedIn and other social media channels. Additionally, to get first hand, vetted data, try to schedule as many customer interview calls as possible. Once you’ve compiled the data that is readily available to you, add another layer of data on top of it by digging deeper into your website and social media analytics to fill the gaps and identify your customers better. Your website data should be able to tell you how visitors are discovering you, what keywords they are using and which channel they are coming from. Data like this helps you understand the psychology of your target market and how you can reach out to them at the right time, with the right message. Your Facebook Page’s Insight section gives you info about your audience demographics, including similar pages they have liked or are engaging with actively. The ‘top posts’ section in Insights, also gives you a quick snapshot of what content has performed well for your competitors. Use this data to shape a content calendar that is designed for higher engagement. Similarly, log into your Google Analytics to discover how people are reaching your website. Heading over to ‘Audience’, you can find out in-depth data on your audience – their demographics, interests, geography, behavior, the technology used, and even their interaction with your site with ‘user flows’. Tracking and recording such data while you’re defining your target market also helps you identify what keeps visitors engaged on your site, where they drop off and how you can optimize the pages to convert as many of them as possible. Google Analytics also lets you dig deeper into the source of traffic – helping you understand which channel works the best for which customer segment. While Google Analytics is a go-to for most of us, there are other tools like Sprout Social and AgoraPulse that offer you actionable insights from multiple channels, on a unified dashboard. Now that you have documented who is already interacting with your business and who might possibly be interested in what you’re offering, it’s time to look into what interests them apart from you – especially your competitors. While you won’t get access to all the insights of your competitors’ audience engagement, you can take a look at their websites and social media channels to gauge how they’re approaching their target markets. Everything from their web copy to the illustrations they use to explain what they do is indicative of what is working in your target segment (or not) and hence will give you a head start on what you need to do to position yourself better. Additionally, there are tools like SEMrush and Ahrefs that give you insights into the keywords that your competitors are targeting, the sites that are bringing in maximum traffic for them, the paid campaigns they are running, to name but a few. It is a good idea to take note of all the data relevant to your documented audience segment, in order to improve your messaging. For example, if you’re offering an app marketing suite. You run your competitor link for analysis on Ahrefs. As you can see here in the screenshot, the tool points out their top performing pages and the content that they cover. Heading over to the pages, you can further gain insights into what messaging they use, what problems they are trying to address and optimize yours accordingly. Once you have identified the key data points that define your target market, it is time to further give shape to your document by creating ‘customer personas’. The aim of creating customer personas is to be able to define an individual by their demographics, interests, preferences, purchasing power, challenges and the solutions they’re looking for. Similar to how it is important to do a little research on the person you’re going to have a meeting with, to have a meaningful conversation with your customers, you need to know a little about them and what they do. To make things even simpler, head over to ‘Make my Persona’ by HubSpot. The tool helps you create buyer personas that can be used across teams for marketing, sales and more. It walks you step-by-step through the process, telling you why each step is important to complete. Pro tip: Remember to add a clear distinction between each one of your personas. The reason you’re creating personas is to be able to tailor the experience and marketing strategies to the different target segments of your audience. If everything overlaps with one another, you’ll just end up using the same promotional message for them all, lowering the engagement you could generate otherwise. Start by analyzing your most successful customers. This will help you create your core persona and give you direction to create the next one. If you don’t have enough data to create three personas, stick to two until you do. There’s no point spreading yourself too thin. Your product or service could have endless features to offer, but that list is of no use if your target segment can’t understand how they would be of any benefit to them or identify how you’re different from your competitors. You need to clearly link a value proposition to the problems that different customer personas are facing. Let’s give you a simple example. IKEA is popular for two things among many – how budget friendly they are and their smart furniture features. While one audience segment might respond to a message that talks about their functionality, the other could be more likely to engage with the brand on knowing how cost-effective their products are. The same psychology holds true when you are creating your target market statement for any industry. A simple way to do this is to take into account persona names and create a simple statement for reference. This statement should include which persona you’re addressing – their sample name, what you’re offering to them, which of their goals it will help them achieve, and what message your competitor is using to target them. Once you start reaching out to the customer personas you defined earlier, you should continually come back to your research and optimize them based on the responses you receive as well as the customer life cycle. 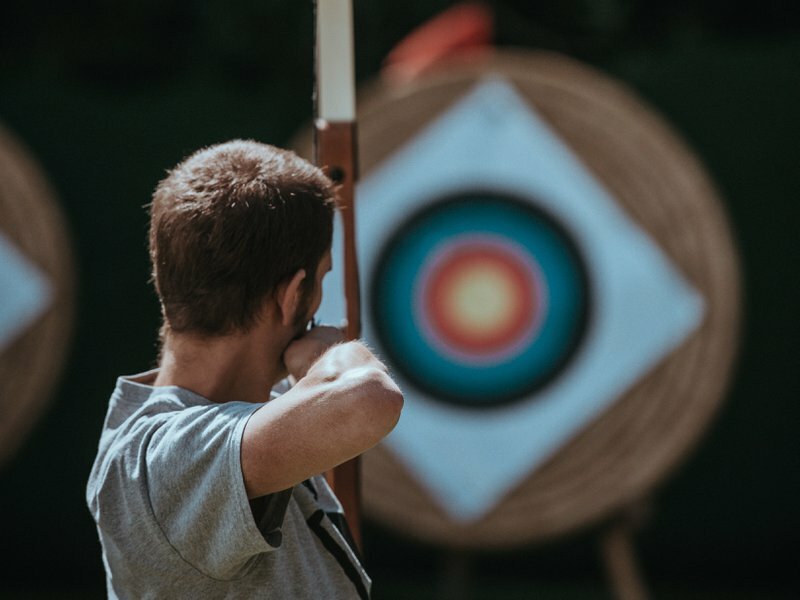 It is important to keep refining your target market and customer personas as you grow and keep getting more data, as it will give you a clearer picture of who makes up your real target market. This helps you identify ideal customers better. Keep talking and listening to people because your customer understanding will make or break your business, and lay the foundation for everything else you do. Make sure that your target market is always in-sync with current trends, or you might end up losing market opportunities to competitors. Once you have your target market and customer personas defined, document them separately and on-board your team to them. It’s important they remain up-to-date with the data; this will ensure that you maintain a consistent message across all channels, and throughout the customer life cycle. Ready to put all your research to use? Click right on through to Part Two in our Sales Pipeline Masterclass: How To Build Your B2B Lead List!